In many parts of the world, including much of the United States, blister beetles are a real nuisance. Not only will these bugs happily and voraciously consume the plants in your garden, but they also have the habit of emitting a toxic chemical called cantharidin which causes people’s skin to blister when they come into contact with it. For all these reasons, you may be wondering how you can protect yourself, your home and your livestock from blister beetles. That’s why we’ve put together this buying guide to help you choose the very best blister beetle repellent. 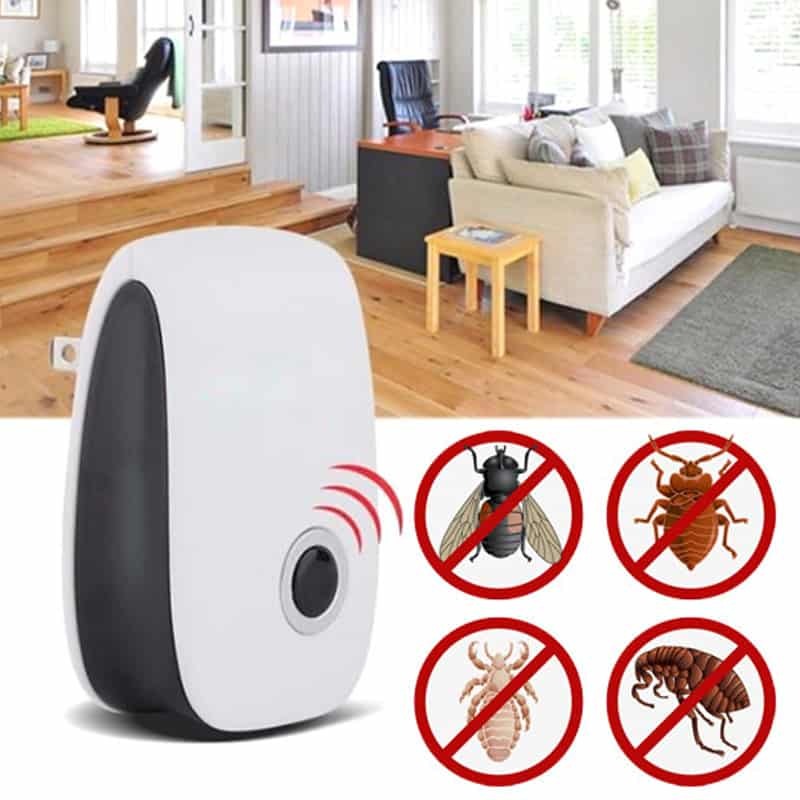 So let’s review some of your options for protecting yourself from these awful pests. Before we go any further, we should clear up one particular issue regarding the blister beetle and the damage it does. Because these beetle can quite easily cause pain and suffering to humans, people often talk about being ‘bitten’ by blister beetles. But the truth is that blister beetles are actually incapable of biting people. Their jaws are designed to cut through the leaves of plants, not the skin of large animals. Blister beetles simply don’t have the jaw strength to hurt humans that way. So what do people mean when they talk about blister beetles biting them? Well, the blister beetle has a fairly unique defense mechanism. When crushed, the beetles secrete a chemical called cantharidin. This is a blistering agent which causes blisters to form on the unprotected skin, accompanied by a burning pain which can be quite considerable. As a result, these beetles are greatly feared in the area where they are found living in proximity to people. Adult blister beetles feed only on plants. Unlike mosquitoes and other bloodsuckers, they don’t go looking for humans to bite, and in fact are not interested in us at all. Blister beetles only emit their toxic cantharidin when they are at risk of being crushed, and it is intended only to prevent other animals from trying to eat them. It is not an offensive weapon. 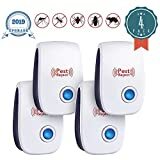 So since the blister beetle is not particularly attracted to humans, there are not many repellents on the market that you can use to keep them away from you. These beetles aren’t really trying to find you in the first place. The conflict between blister beetles and humans usually occurs outdoors, when people are gardening or working in the fields these beetles frequent. Another common source of contact between humans and blister beetles comes from the biological fact that these bugs are attracted to light. The beetles are active in the warm summer months, the same period that people spend more time outside. Sitting under a porch light or beside an illuminated swimming pool on a hot summer’s evening can be a real pleasure, but the lights we use can often attract the blister beetles, which then brings them into conflict with humans. Most incidents of blistering from these beetles happens on people’s hands, arms and necks, the unprotected areas of skin that the beetles might occasionally land on. Blister beetles are perfectly capable of flight, and so can cross large distances towards sources of light. Also, they are gregarious, which means that they like to be around other blister beetles. This makes them travel in groups, so you can suddenly find yourself surrounded by blister beetles. This becomes a problem once people try to swat at them, causing the beetles to release their toxic chemicals in defense. Because the beetles aren’t looking to bite people, regular bug sprays such as those DEET-based sprays designed to repel mosquitoes are of limited effectiveness against blister beetles. The smell of the DEET might help to keep them away, but since it isn’t the smell of humans that attracts blister beetles in the first place, you may find that regular bug spray is a waste of time. Instead, you may need to focus on other preventative measures. Bug screens are obviously key. The last thing you want is to have blister beetles flying around inside your house. And you don’t want to keep the windows closed in the heat of summer, either. Simple mesh screens, like those designed to keep mosquitoes out, will work very well to keep the blister beetles outside of your house. As for the outside, where most conflicts with blister beetles occur, you could consider getting a bug zapper, like this one. Because blister beetles are attracted to light, these traps can be very effective at drawing the beetles away from you, if placed correctly. Don’t sit too close to the light trap, or else you will simply be bringing more bugs your way. Instead, set it up somewhere away from where you want to sit, perhaps twenty feet or so. 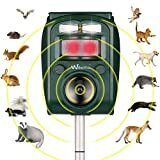 This will offer the bugs a different light source to the one you are using as you sit outside and enjoy the night air. Another method to reduce conflict with blister beetles would be to reduce the amount of outdoor lighting you have in your home. The fewer lights you have on, the less attractive your house will be to bugs of all kinds, not just blister beetles. It may take you some time to get used to the dark. But on the plus side, once you adjust, you will have a far better view of the stars at night. Plus your power bills will be lower! Besides sitting outdoors at night, another activity that often brings people into conflict with blister beetles is gardening. The adult beetles feed on a wide variety of plants, including many of the most popular food plants that humans grow. Tomatoes, potatoes, zucchini, beets – all of these and more are attractive food sources to blister beetles. And when you’re out in the yard working on your plants, it’s all too easy for you to accidentally grab a blister beetle and cause it to release its toxic protection. That’s why a good pair of gardening gloves, like these, is essential. That way, if you do happen to crush a blister beetle, your skin will remain protected from its burning cantharidin. If you live in blister beetle country, it’s definitely a good idea to prepare for the possibility that you may someday get burned by one. Every home should have a decent first aid kit, and for this particular pest, it would be a good idea to keep some topical steroids on hand. This medicinal cream can help reduce the pain and damage caused by a blister beetle’s cantharidin. 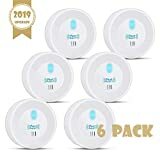 It will also help with mosquito bites, bee and wasp stings and other wounds caused by insects, so it’s definitely a good thing to have around the home. When it comes it preventing blister beetle ‘bites’, you need to think outside the box. Remember that these beetles are not trying to harm you, and that any damage they cause to humans comes only from the beetles themselves being harmed or crushed. Unlike some other bugs, the blister beetles don’t want to be around humans and have nothing to gain from being close to us. The tomes they do come into contact with us are accidental, and do regular bug spray is not going to do much to prevent these meetings. Instead, you need to find ways to protect yourself and repel blister beetles some other way. One of the best ways to reduce the chances of you or your family coming into contact with blister beetles and getting burned by their toxins is to keep them away from your home in the first place. Besides, adult blister beetles are a major pest of plants in gardens, so if you are trying to grow your own vegetables, you will definitely want to know how to get the blister beetles away from your yard. One of the most popular sprays used against blister beetles is Cyonara Lawn and Garden. This broad spectrum pesticide comes in a ready to spray formulation and is conveniently packaged in a jug that you simply attach to the end of your garden hose. The specially designed jug will do all of the mixings for you, so all you need to do is spray your garden to kill the blister beetles. Because this is a broad spectrum pesticide, it will kill more than just blister beetles. 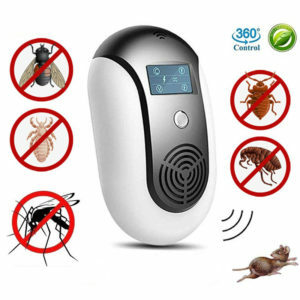 Users report its effectiveness against ants, mosquitoes, springtails and all kinds of other insects. This can also help with a blister beetle problem. The larval stages of the blister beetle life cycle are parasitic on other insects. By reducing the number of other insects in your garden, you will also be making it harder for blister beetles to complete their life cycle and breed. Because Cyonara is an outdoor spray, you will probably find it necessary to apply the chemical on a regular basis. Especially after a rain, or when you have watered your garden since the water will wash much of the pesticide away. Some users report that this can become quite an expensive solution to blister beetle problems, as Cyonara is not cheap. But if you want fast and effective relief from blister beetle problems, Cyonara is definitely worth considering. Many people use Cyonara in conjunction with Bifen granules. This granular pesticide is applied directly to the soil. As the granules break down under sun and rain, they emit a gas which is fatal to insects, including blister beetles. This multi-pesticide approach can be very effective against blister beetles. The blister beetle starts its life in the soil, where the females lay their eggs. The tiny parasitic larvae stay close to the ground, and so are very vulnerable to a pesticide like Bifen. By using Cyonara to kill the adults and Bifen to kill the larvae, you will have a strong effect on the population of blister beetles in your garden. And like Cyonara, Bifen granules are effective on a wide range of insects, not just blister beetles. Just like Cyonara, this will help to remove a potential food source for the young blister beetles and help repel blister beetles from your garden. Another chemical known to be highly effective against blister beetles is spinosad. This active ingredient comes in a variety of different brands of spray, but one popular brand used is Monterey Garden Insect Spray. This spray is made from a naturally occurring bacteria found in soil, and is safe to use in vegetable gardens. While Monterey Garden Insect Spray, like Cyonara, is effective against a broad range of pest species, it is much gentler on the environment. Not only is it derived from natural ingredients, but its method of action is also more targeted. Instead of spraying your entire garden, with Monterey Garden Insect Spray you simply spray it onto the leaves of the plants that the blister beetles are eating. This makes the leaves very unappetizing to the blister beetles, and they will learn to leave your plants alone. Not only will this save your vegetables, but it will make your garden far less attractive for the blister beetles, making it far less likely that you might accidentally come into contact with one and get burned. 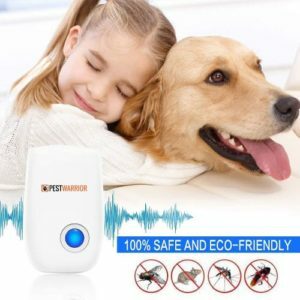 This product works to effectively repel blister beetles from your home and garden without being dangerous to any non-target animals, making it a more environmentally friendly choice for blister beetle control. Be aware that unlike Cyonara, Monterey Garden Insect Spray does not come in a ready to spray formula. You will need to dilute it yourself, and you will also need to buy a simple hand sprayer to use with it. When mixing pesticides, always carefully read the manufacturer’s label and follow the instructions. Even seemingly mild pesticides can have unexpected effects when improperly used. Along with chemical solutions, there are some other methods you can take as you try to find the perfect blister beetle repellent for your garden. It helps greatly to have an understanding of the blister beetle life cycle and how they live in order to best control them. For instance, the adult blister beetles can fly. Being gregarious, they move in crowds, and so a large number of beetles can appear out of seemingly nowhere and quickly devastate your plants, sometimes in a single day. By eating the leaves, blister beetles make it impossible for your plants to absorb sunlight and grow, and this can quickly kill the affected plants. One way to prevent this is to invest in some garden fabric, like this. Staking this mesh down over your plants will allow them to absorb all the sunlight that they need, but will make it much harder for the adult blister beetles to get to the leaves and destroy them. This will greatly help repel the blister beetles without having to resort to toxic chemicals. However, it’s important to remember that the blister beetle life cycle starts in the soil. Protecting the plants from the adults is only half the story. If the beetles have managed to lay eggs in the soil of your garden, the larvae will hatch into adults and start to feed on the plants, and the garden fabric won’t be able to stop them. If you’re reluctant to use a chemical like Bifen granules to kill bugs in the soil, you could try using some diatomaceous earth. Sprinkling this powder on the soil will help to kill any bugs that are hiding there, not just the blister beetle larvae. Diatomaceous earth is not a pesticide but is, in fact, a physical control. The tiny particles in the dust lacerate the exoskeleton of any bugs that crawl over it, and this quickly causes death by dehydration. The best part is that this will have no effect on your plants, and the vegetables you grow will still be perfectly safe to eat. Repelling blister beetles is a question of understanding these fascinating bugs. Although they are not trying to bite people or hurt them deliberately, blister beetles can still pose a threat to humans, both through their burning chemical defense and through their habit of decimating the plants in our gardens. By using the products listed above, you can find ways to repel blister beetles and stop them both from biting you and from taking over your garden and destroying your plants. Blister beetles are unlike many of the other pests that we encounter in our homes and gardens, and so it is necessary to think carefully about what actions we can take to repel them. But hopefully, this buying guide has given you some ideas as to what are the best repellents to get rid of blister beetles. Have a great and beetle-free summer!